It can be difficult to keep track of and manage your receipts, but the receipt template Word document makes it easy. Download any of the free templates and get started better managing your business and personal receipts today! The receipt template Word document is available for free on this page and can be easily customized to meet all of your needs. It is extremely easy to use and can be downloaded here in seconds. The receipt template Word document is perfect for business and personal receipts. Simply choose from one of the free designs, or customize your own template. Using the templates is easy, simply fill in the information and then print. Cash receipt templates can be used in place of money orders and checks, while rent receipt templates can be filled out ahead of time and printed upon receiving the agreed rental amount. 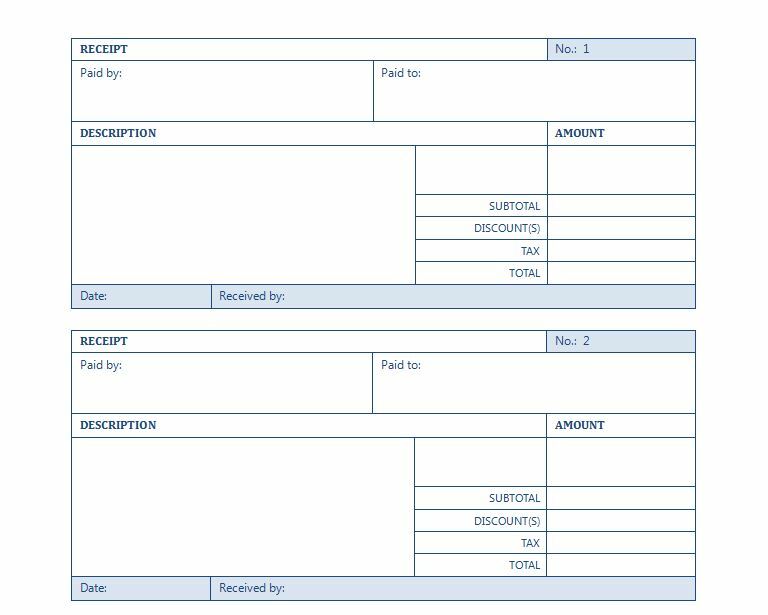 These receipt template Word documents can even be divided into two section, leasing and showing. Any of the rental receipt templates will also automatically change numeric amounts into words. The receipt template can also be programmed to print duplicate copies. Gift certificates can also be customized, recorded, and printed using the Word gift certificate template. With the receipt template Word document, it is easy to keep track and manage all of your receipts. They are free to download, and are easy to customize to meet any need. Fill them out ahead of time and print as they are needed, or use the template to create unique and stunning gift certificates. Download now, and start managing your accounts quicker and more efficiently.